Transform your life through training. Are you tired of feeling less than your best? Is pain, injury, or uncertainty keeping you from achieving your health and fitness goals? 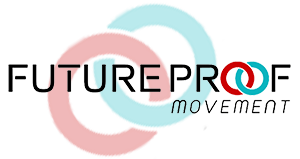 Future Proof Movement is a unique gym in Boulder where fitness professionals, massage therapists, biofeedback specialists, and physiotherapists work together to get you the results you need. Our team of professionals has decades of combined experience with many success stories under our belts. Whatever it is that you are passionate about, we will guide you through the obstacles to find the fastest, safest way to your goals. What do you want to be great at? At FPM we remove the uncertainty of training by creating customized, integrated programs that empower you to move and perform like your are capable of anything. Our methods involve a combination of injury rehabilitation, joint mobility, functional fitness, and sports performance. You train with a professional team that is experienced and skilled enough to give you both a smart, challenging workout and a restorative, healing treatment. Our red and blue rings represent the two main ways we integrate our services into a custom program for you. The red ring represents the more active types of training that increase your strength and durability. While the blue ring represents the more healing types of training that improve recovery and release pain. Where the rings intersect is the “zone of optimal performance”, and it is our mission to help you integrate the red and the blue to achieve your greatness and future proof your life. Future Proof Movement is for every fitness level, every age, and every body. There are no membership fees, and no waiting for equipment. We created a dedicated training space for you to get 100% attention from your trainer or therapist. Our team knows how to create safe, effective programs that will get you feeling and moving like you are unstoppable. When you train at Future Proof Movement you get a team that is dedicated to your success. Are you ready to transform your life through training? 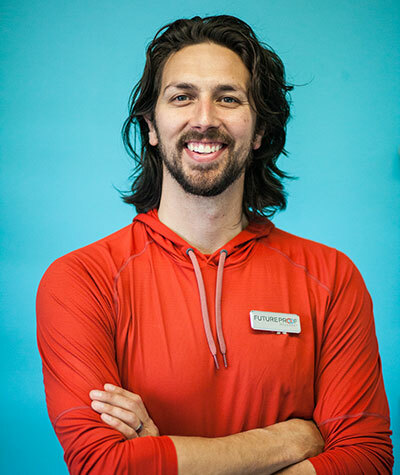 Erik is an exercise specialist and licensed massage therapist, and he is the co-founder of Future Proof Movement. He has 13 years experience, and he has opened fitness studios in Hawaii and Texas. Erik is knowledgeable, creative, and deeply committed to the care and success of his clients. 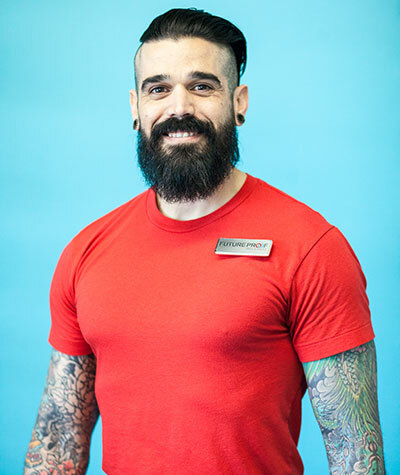 He puts his heart into every workout and massage, and his clients can expect to finish every session feeling better than when they walked in. Jesse creates results for his clients using smart movements, motivations, and strategies. Raised in rural Kansas by a Sheriff and an Artist, accountability and creativity have heavily contributed to Jesse’s success in the fitness industry where outside of his service in the U.S. Military, he has spent his entire professional career (over 15 years). Jesse believes in observation and listening, which he uses effectively to lead clients to their goals. His efforts are instrumental in the formation and direction of Future Proof Movement as an Integrated Fitness solution to its clients. 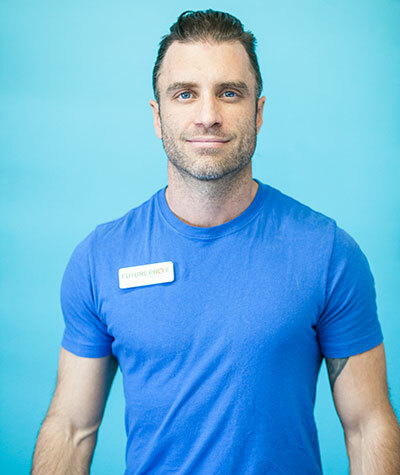 Casey’s passion for wellness lead him to personal training where he could share his dedication to health and fitness with others. In Seattle, Washington his training sessions were brutal but safe. By using time-under-tension to achieve complete muscle fatigue safely, his clients would improve physical endurance and strength. This method allowed him to work with a diversity of physical ailments and perceived limitations; including fused spine, frozen shoulder, Rheumatoid Arthritis, and severe Parkinson’s Disease. He was also able to keep skiers strong through the summer so they could hit the slopes hard come winter. 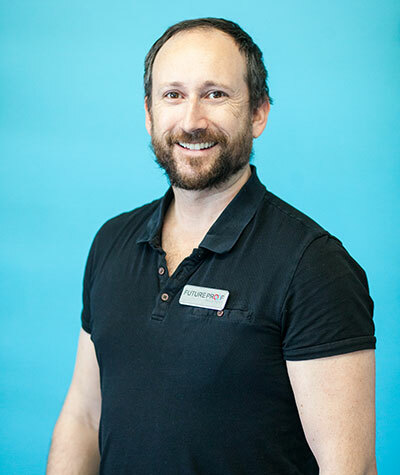 Now Casey has brought down the “brutal” while learning more about massage therapy and improving his clients results from his certifications as a FRC Mobility Specialist and a Primal Health Coach. Through incorporating more primal eating patterns with better joint function Casey will assist you in finding your normal and then supporting you in surpassing it. Dulcineas’ training style combines the power and strength of weightlifting along with the grace and mindfulness of yoga. Her caring nature pairs well with fitness newbies, youths, and aging bodies. You will enjoy the added benefits of organic essentials oils and aromatherapy massage in each session. Dulcinea is excellent at creating an environment for her clients to feel challenged, meditative and transformed in their workouts. Focus: Mindful movement, Strength, Youth/Aging, Yoga, Fat loss, Functional fitness,, Aromatherapy. Hailing from Detroit, MI after trekking across Southeast Asia to teach yoga and meditation, Abby came to Boulder to blaze her own trail in the health and fitness industry. 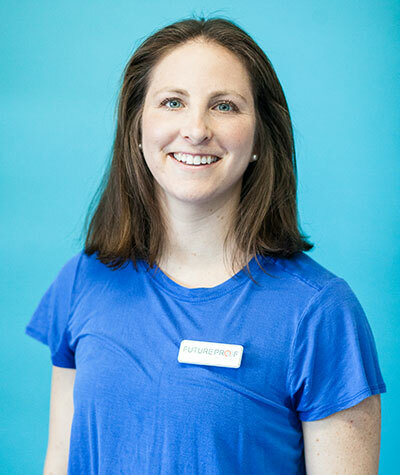 She holds degrees in psychology and kinesiology and has certifications as a Personal Trainer, Yoga Teacher, and Holistic Health Coach, and has years of competitive basketball, 3 Boston-qualifying marathon races, and hundreds of yoga flows under her belt. 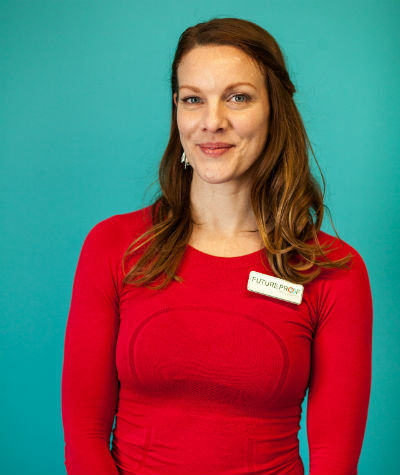 She brings a wholesome approach to her coaching by balancing the yang elements of high-intensity training with the yin elements of breath work, mobility, and meditation. In her training sessions, Abby takes great care to work on tissue mobilization, muscular balance, and functional movements, while also implementing fun tools like the steel mace, kettlebell, and battle ropes to keep movement fresh and fun. 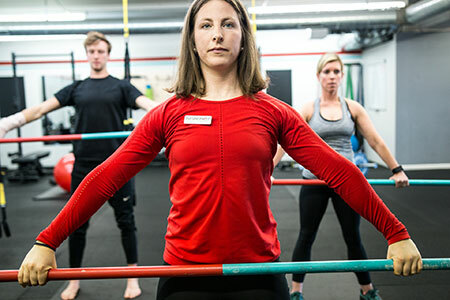 Her specialties are advanced athletic training, strength training for beginners, fat loss, and physique formation on the hard-gaining side and movement correction and mobility for those who need to take it slower. Abby’s training will not only help you increase your resting metabolic rate and build a stronger booty, but she will also have you feeling like a champion donning proper posture and a winning mindset outside of the gym. Gabriel is a recent transplant to the front range, trading in the beaches and fog of San Francisco for the mountains and sunshine of Denver. He holds certificates in massage therapy, somatic education and biofeedback, along with a Master of Science in Mind-Body Medicine. After developing chronic pain and digestive issues in his early twenties, Gabriel became interested in mindfulness and self-regulation. First, he got out of pain, then he began trail running and road cycling, now his focus is helping others unlock their own potential for healing and growth. When not working or studying, Gabriel enjoys running after his two children, skiing, playing in big bands, and road trips. Training philosophy: I believe that we can get better as we age, not worse. Not just at our job and relationships but, most importantly, better at being in our bodies and moving through the world. Systems of the body once thought to be involuntary have shown to be heavily influenceable and trainable. Our brains, in particular, are continually adapting to our lives. I love to help people harness control over their whole mind and body, releasing themselves from preconceived limitations and developing to their full potential. Brent Apgar (B.A. 2000, D.C. 2007) earned his B.A. when the Integrative Physiology department at CU was still called Kinesiology and Applied Physiology. After finishing his undergrad degree Brent worked for few years in two physical therapy clinics here in Boulder. He then decided to return to graduate school for a degree in chiropractic medicine. 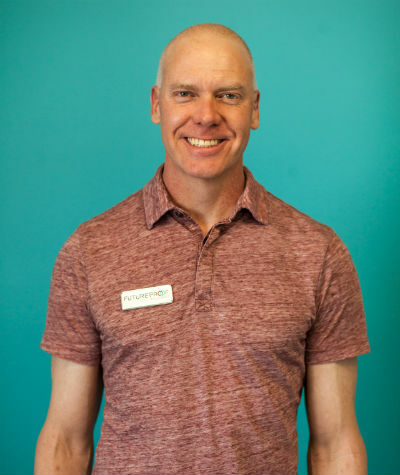 Dr. Apgar spent four years at Western States Chiropractic College in Portland, Oregon earning his Doctor of Chiropractic before returning to Boulder to begin practice. Brent is a relentless geek, always learning and trying out new treatment modalities, nutritional tweaks and training programs on himself. Dr. Apgar enjoys working with anyone interested in improving their quality of life. If Brent isn’t working on patients or studying some aspect of human physiology he can be found climbing at one of the many crags along the Front Range. Training Philosophy: My goal is to teach my clients how we can work as a team to make them more resilient (Future Proof); ultimately moving from debugging the system toward attaining whatever wellness and performance goals you can dream up. Gifted at the art of relaxation, Bella brings down your heart rate when your workout gets pumping. 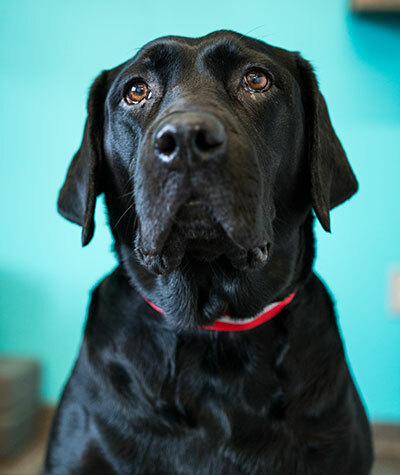 She may console you with a warm snuggle or gift you with her beloved “hedgehog”, but most days Bella is a silent shadow showing her support through intense napping. Picking the right gym in Boulder can be overwhelming. Let us help you!